It is important to us that you have the supports available to be academically successful and positively engage in our Residence community. Many of the supports that are offered to you are available 24 hours per day, 7 days per week. 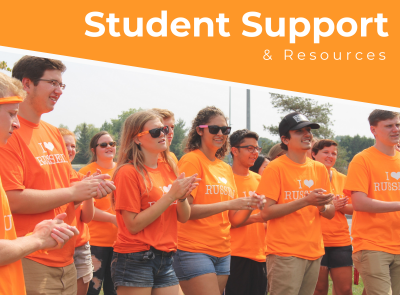 Whether you are looking for the appropriate service on campus, have personal concerns, or you are wondering how you can get more involved in your community, there are plenty of resources available to you. Our goal is to help you be the most successful student you can be! Residence Fellows are upper year students who live and work on each Residence floor. You will have at least one living in your Residence community with you throughout the yuear. These staff are role models, resource people, helpers, community developers, and leaders for you and your peers. A major part of their role is to help create a community that is conducive to learning, academic success, and personal growth and development. A Residence Fellow is a 24/7 support system for all students, and will help you transition into the community and university life. Residence Managers are full-time professional staff members who supervise Residence Fellows and support students in their respective buildings. They act as an additional resource for you, and promote a positive community atmosphere. The Residence Managers function on a 24/7 rotating on-call schedule, in order to provide students like you with constant support. They are also a friendly face in the community, so be sure to say hello if you see them! Another support we provide for you in Residence is our Residence counsellors. These trained professionals provide short-term, confidential counselling to help students manage a variety of mental/emotional challenges and promote healthy living. Our Residence Mental Health Champions also organize and implement a variety of activities, stress-busters, and events to help you maintain balance. These events are often run out of our renovated Wellness Space located in Renfrew House. Attendant Services is a 24/7 program for students with special needs. They help to promote an independent lifestyle by providing personal support. For more information click here.